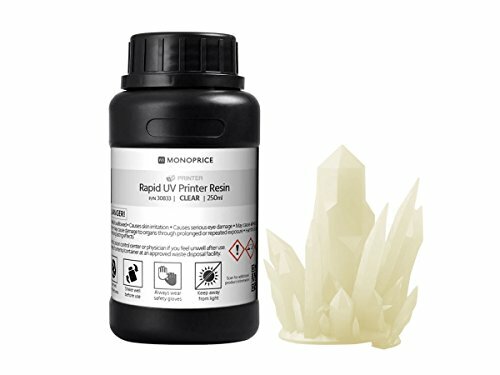 Service & Support : You’re never on your own with Monoprice products! We have a full team of friendly and knowledgeable technicians available to answer your questions, both before and after the sale. The voxel, analogous to the 2D pixel, is the smallest unit in 3D printing. Voxel Magic is New York City’s first overnight 3D printing service, promising “Fast & Friendly” delivery for those rush jobs, which are most jobs if you’re a student or a small business. Additive manufacturing may be revolutionizing the way things are made — by reducing product development cycle time and cost to a mere fraction of what it was 5 years ago — it still remains in the realm of specialists. Most desktop 3D printers are still not quite everyday household items. These amazing high-precision gadgets are not as user-friendly as the “desktop” name implies. They still require a very skilled (and rare) detail-oriented technical operator to inspect or adjust CAD files, select optimal material grades, launch the correct printing sequence, oversee the execution, carefully remove the print from the plate, trim extraneous supports, sand, finish, and possibly paint the object. In other words, one can’t press the print icon and wake up to finished parts. That’s why most large 3D printing houses avoid small jobs, rush jobs and small, rush jobs. Problem is that’s most jobs for small businesses and students in New York City. They don’t have time to order a print, wait the 2 to 5 days it takes to be queued in a large offsite facility or overcrowded campus lab, plus wait another 3 to 7 days for shipping by an expensive courier service. 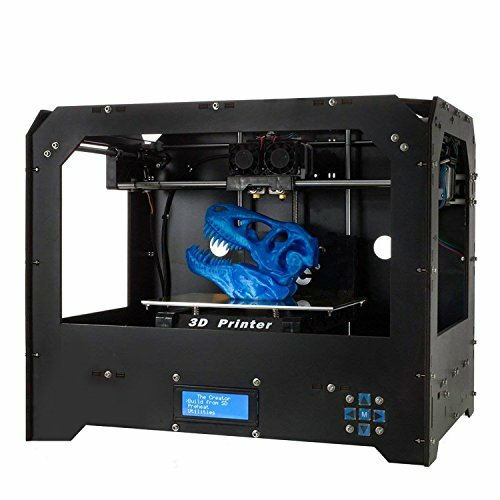 John identified many bottlenecks and inefficiencies in the way most 3D printing service is delivered, starting with quoting and ordering. So Voxel Magic partnered with MakerOS to deploy their best-in-class “instant quoting” system on http://www.Voxel-Magic.com. The system runs 24/7, so new customers can upload a CAD file Sunday at 3am, get a live immediate quote by 3:01am (roughly) and if approved, the job would be immediately queued for meticulous review and execution, often overnight. It’s ready by noon the next day (in this example, Tuesday at noon). To ensure quality and variety — not all machines print the same stuff the same way — Voxel Magic invested in 15 state-of-the-art 3D printers from MakerBot, FormLabs, gCreate, and Stacker. With this “fast & friendly” formula, John expects Voxel Magic to become the top shop for really rapid prototyping in NYC. He also offers object scanning, consulting, and print finishing, all geared to Architects, Doctors/Dentists, Product Developers, Fashion & Accessory Creators, Inventors, and Students alike. Clients are notified via email at every stage of the 7-stage job-flow. Once ready, their print can be picked up at Voxel Magic’s location in the Lower East Side. More locations are planned, such as in the Fashion District, Midtown, Columbia University and Union Square. For more information about Voxel Magic, visit http://www.voxel-magic.com or call (800) 239-8181. Facebook http://www.facebook.com/voxelmagic. Twitter and Instagram @voxelmagic hashtag #voxelmagic. This article was originally distributed via PRWeb. PRWeb, Frankly and this Site make no warranties or representations in connection therewith. If you are affiliated with this page and would like it removed please contact [email protected].